With home-style cuisine specialties, Chef Geth Savellano’s dishes exude warmth and hospitality ensuring that every customer goes home happy. Valentine’s specials: Free Milo Mousse for every P1,000 spent. Available from February 9 to 14, 2015 for dining customers. Maximo is located at 173 Katipunan Extension, Blue Ridge, Quezon City. For inquiries, call 437-7661 or visit facebook.com/maximoqc. Living up to its hype, this restaurant serving delicate, flaky on the outside and moist, tender on the inside Japanese breaded pork cutlet is definitely a crowd-pleaser. The menu also includes a Kids Katsu Set. Valentine’s specials: Each “Katsu for Two” set includes a free bowl of Wakame or a side of Potato Croquette, 2 scoops of ice cream and 2 bottomless drinks. 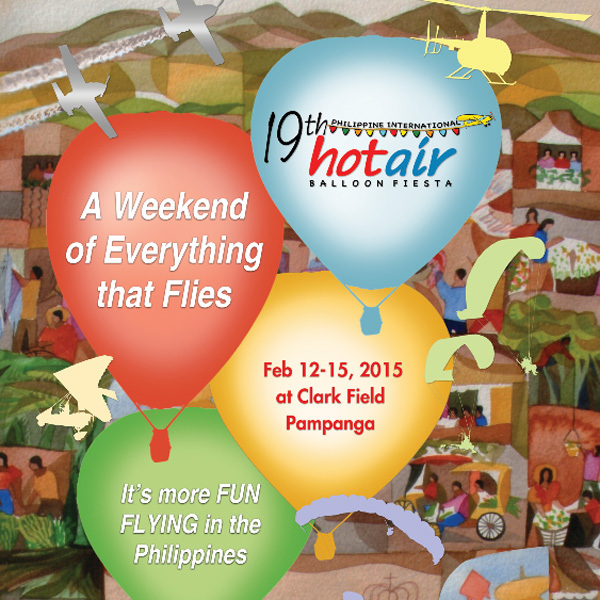 Available from February 13 to 15, 2015 for dining customers. 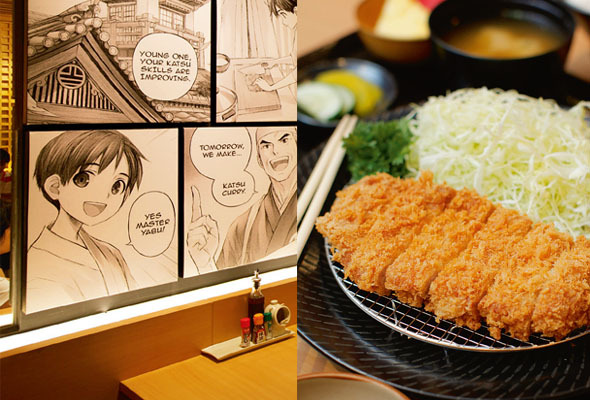 Yabu is at 2/F Mega Atrium, SM Megamall Mandaluyong; with branches at Robinsons, Magnolia, SM Mall of Asia, and more. For inquiries, call 631-1192 or visit yabu.ph. Italian specialties with larger platter options make this restaurant a favorite of friends and family. A special “Club Bimbi” membership for children 12 and below makes it especially enjoyable for kids as well. Valentine’s specials: “Valentino Speciale” menu consisting of La Burrata (P490), Pizza Gaita (P380) and Panna Cotta D’amore (P190). Available from February 1 to 15, 2015. 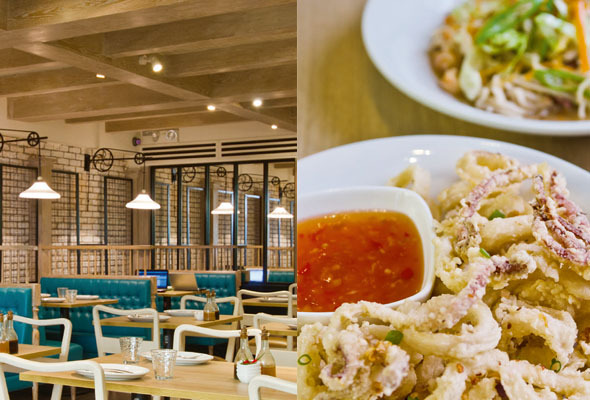 Cibo is at at 2/F Greenbelt 5, Ayala Center Makati; with branches at SM Megamall, Gateway Mall, and more. For inquiries, call 758-2426 or visit cibo.ph. Meat lovers welcome! 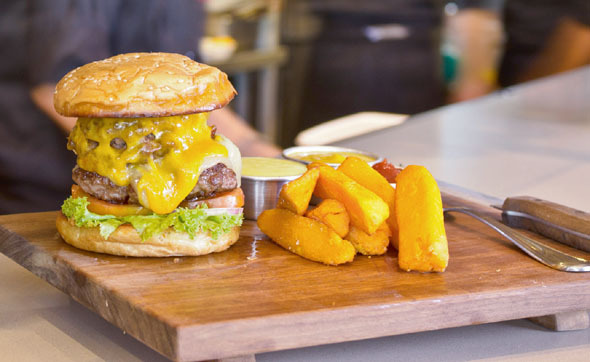 A carnivore’s delight, their menu is adorned with American classics with local twists. Their generous portions make their meals easy to share with the whole family. Valentine’s specials: Corn Crusted Smoked Riblets with Honey-chili Vinegar (P480), Cream of Cauliflower with Smoke-grilled Chicken Breast Drizzled with Herb Oil (P240), Fresh Organic Baby Spinach and Arugula (P440), Char-grilled Smoked Lamb (P850), Herbs-marinated Char-grilled Petite Tenderloin (P690), Pan Seared Hickory and Bourbon Glazed Salmon (P650) and Red Velvet Cake with Cream Cheese Frosting (P250/slice). Available only on February 13 and 14, 2015 for dining customers. 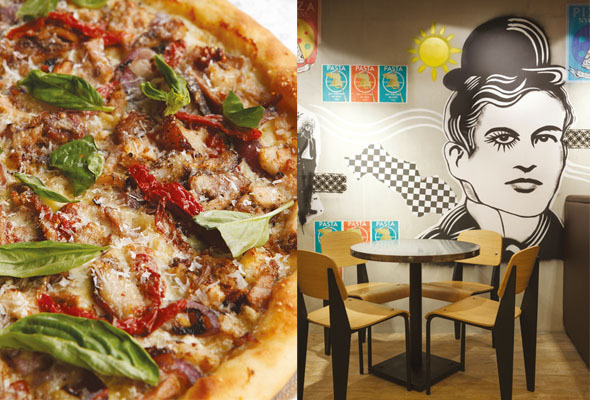 ‘Cue is located at LG/F 7th Avenue corner 29th Street, Bonifacio High Street Central, Bonifacio Global City, Taguig. For inquiries, call 621-4052 or visit facebook.com/CueModernBBQ. From Japan to Philippine shores, this ramen restaurant is slowly conquering the world as it expands its reaches to the U.S. and different parts of Southeast Asia. With a toy that comes with every child’s meal set, this one’s a no-brainer for the kids. Valentine’s specials: Free Santouka Red Velvet Cupcake, a Valentine’s special dessert, for any order of 2 Santouka Sets. Available on February 14, 2015 11 A.M. onwards for dining customers. 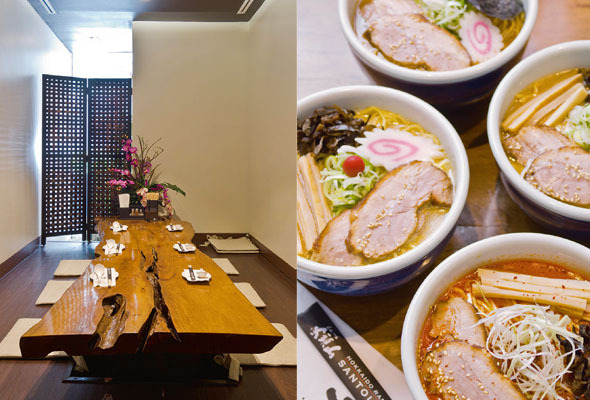 Santouka Ramen is located at G/F Glorietta 2, Hotel Drive, Ayala Center, Makati. For inquiries, call 728-1381 or visit facebook.com/RamenSantoukaPH. This restaurant's modern, hipster atmosphere mixes with its Vietnamese street food reinvigorating classic favorites. Kids will enjoy the open kitchen setup. Valentine’s specials: Free Coffee Jelly Ice Cream for every table. Available on February 13 and 14, 2015 for dining customers. Phat Pho is located at 11th Avenue, Bonifacio Global City, Taguig. For inquiries, call 843-0820 or visit facebook.com/PhatPhoMNL. A family favorite for over 44 years, the food here is impossible to get tired of. 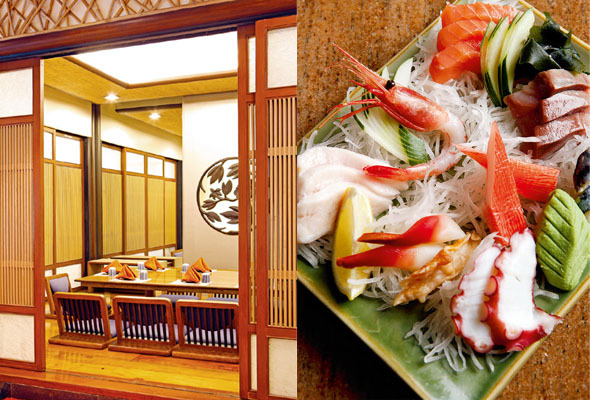 The Teppanyaki Misono table, where food is cooked right on the table, never gets old as well. Valentine’s specials: Free Pineapple Mituni, a Valentine’s special dessert, for all lady diners on February 14, 2015. 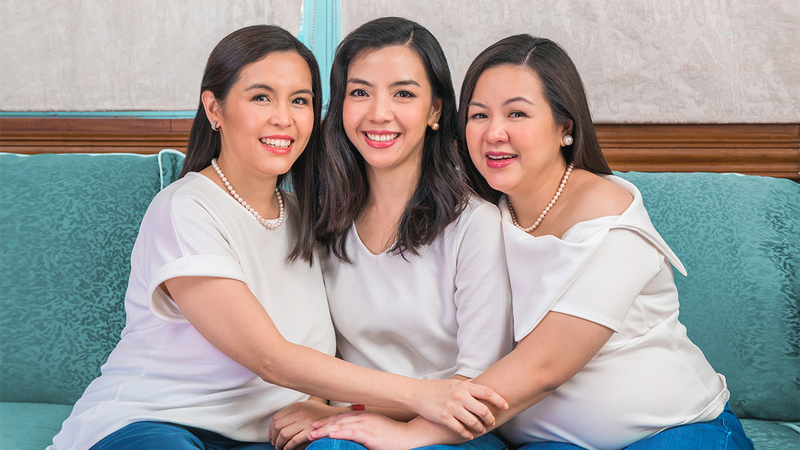 Kimpura is located at Unimart Building Greenhills Shopping Center Ortigas Ave., San Juan, Metro, Manila with branches at Trinoma and Greenbelt 5. For inquiries call, 721-8869 or visit kimpura.com.ph. 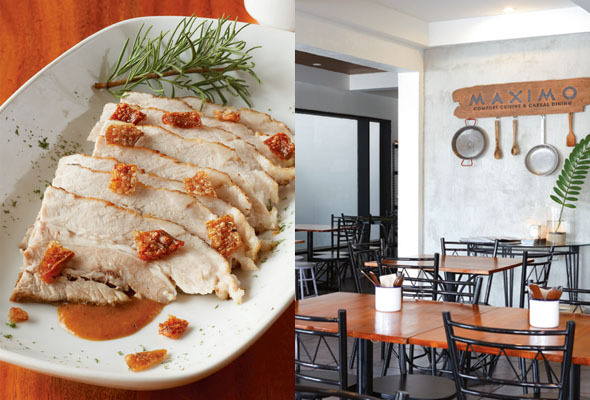 Serving local flavors with a twist, Manam comes from the root word “malinamnam” which is what the food promises to be. Portions come in small, medium and large accommodating both solo and group dining. Valentine’s specials: Free Gata Leche Flan, small size for 1-3 diners, medium for 4-7 diners and large for 7 or more diners. Available on February 13 and 14, 2015 for dining customers. Manam is located at G/F Greenbelt 2, Makati; with branches at SM Mall of Asia and Fairview Terraces. For inquiries call, 625-0515 or visit facebook.com/ManamPH. What makes this Italian restaurant stand-out is its commitment to food sustainability, its philosophy of making everything from scratch and its ingenious ways of making sure no part of the animal is wasted. And of course, the food is divine. Kids will enjoy the fun, creative atmosphere with graffiti-like art on the walls. Valentine’s specials: Free Bread Pudding, a Valentine’s special dessert, for every table on February 13 and 14, 2015 for dining customers. 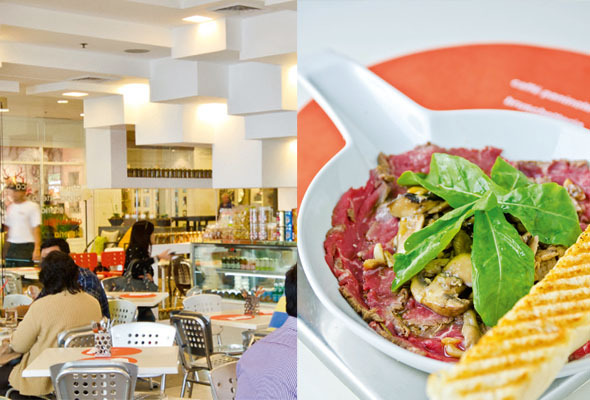 Linguini Fini is located at 3/F SM Megamall Fashion Hall, Mandaluyong City. For inquiries call, 531-3302 or visit facebook.com/LinguiniFiniMNL. This European artisanal comfort cuisine restaurant’s latest gimmick is letting diners build their own pasta starting from pasta types then on to sauces and toppings. This is pasta heaven! Valentine’s specials: Give someone0 special a Balboa Four-Cheese Pizza (P409) with your own custom message written in Pepperoni. Available from February 12 to 28, 2015. 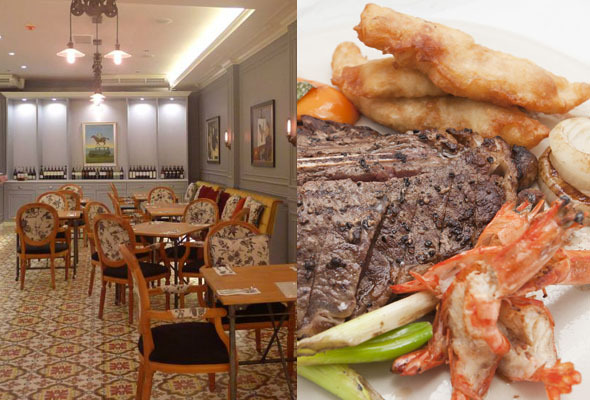 Balboa is located at 3F Greenbelt 3, Ayala Center, Makati City and at the Shangri-la Plaza Mall. For inquiries, call 942-2844 or visit facebook.com/balboapH. 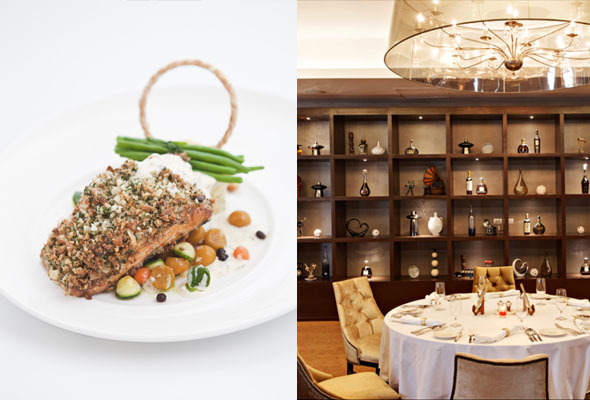 Formerly Oakwood Restaurant, The Nostalgia Dining Lounge is where world-renowned Chef Jerome Cartailler’s capable hands carefully crafts international dishes, including those from his own family recipes brought here from France. Valentine’s specials: Seafood Bisque and Garlic Crouton, a choice of: Chef’s Terrine, Classic Caesar Salad or Homemade Potato Gnocchi with Parmesan and Parma Ham for starters, Frozen Bellini, a choice of: Char-grilled U.S. Beef Tenderloin, Chicken Supreme or Pan Seared Macadamia Crusted Salmon for main course, Fresh Strawberry Macaroon and White Chocolate Whipped Ganache for dessert served with either coffee or tea all in for P1,500. Available on February 12, 2015 for dinner. The Nostalgia Dining Lounge is located at 6/F Oakwood Premier, Joy Nostalg Center, Ortigas Center, Pasig City. For inquiries, call 637-7888 ext. 8603 or facebook.com/OakwoodManila. This cozy spot is popular among vegetarians, but its food is just as popular to those who love meat, too. Valentine’s specials: A choice of Lentil “Meatballs”, Caesar Salad or Creamy Vegan Cauliflower Soup for starters, Polenta Triangle Mushroom Rosemary Sauce or Tomato Walnut Basil Pasta for the main course, Chocolate Pudding or Strawberry Sherbet for dessert with either red or white wine all in for P950. These specialty dishes are available only on February 14, 2015 6 P.M onwards for dining customers. 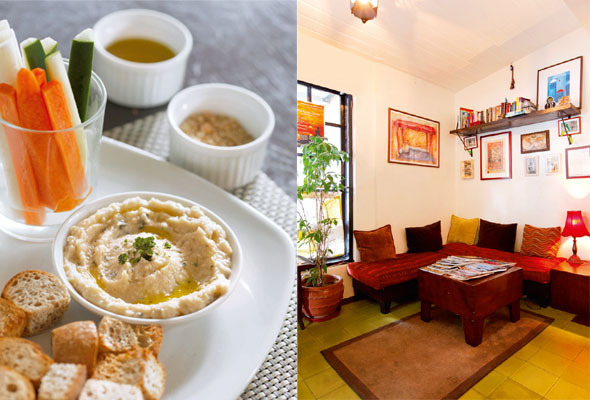 Corner Tree Café is located at 150 Jupiter Street corner Saturn Street, Bel-Air Village, Makati. For inquiries, call 897-0295 or visit cornertreecafe.com. Love eating out? 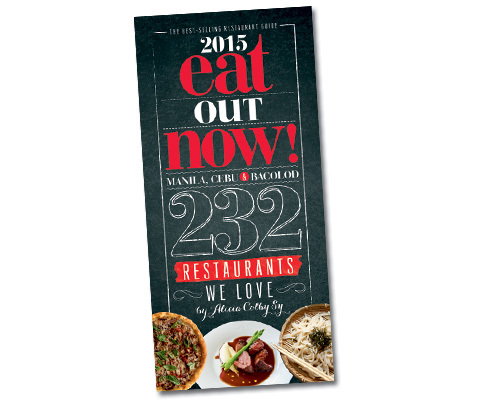 Get a copy of Eat Out Now 2015, your guide to 232 of the best places to dine in Manila, Cebu and Bacolod. Available at bookstores and newsstands nationwide for P295. Valentine’s specials: A choice of Lentil “Meatballs”, Caesar Salad and Creamy Vegan Cauliflower Soup for starters, Polenta Triangle Mushroom Rosemary Sauce and Tomato Walnut Basil Pasta for the main course, Chocolate Pudding and Strawberry Sherbet for dessert with either red or white wine all in for P950. These specialty dishes are available only on February 14, 2015 6 P.M onwards for dining customers. Valentine’s specials: Corn Crusted Smoked Riblets with Honey-chili Vinegar (P480), Cream of Cauliflower with Smoke-grilled Chicken Breast Drizzled with Herb Oil (P240), Fresh Organic Baby Spinach and Arugula (P440), Char-grilled Smoked Lamb (P850), Herbs-marinated Char-grilled Petite Tenderloin (P690), Pan-seared Hickory and Bourbon Glazed Salmon (P650) and Red Velvet Cake with Cream Cheese Frosting (P250/slice). Available only on February 13 and 14, 2015 for dining customers. 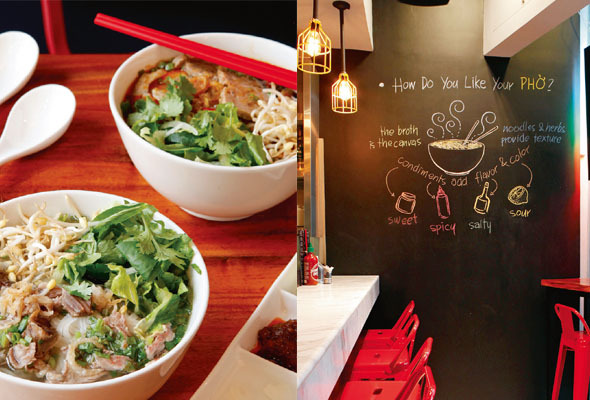 This restaurants modern, hipster atmosphere mixes with its Vietnamese street food reinvigorating classic favorites. 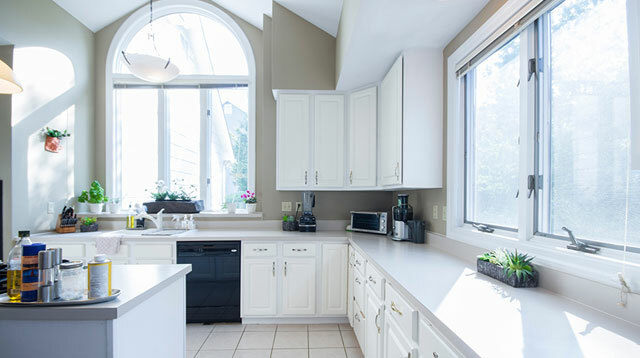 Kids will enjoy the open kitchen setup. Valentine’s Special: Free Pineapple Mituni, a Valentine’s special dessert, for all lady diners on February 14, 2015. Valentine’s Special: Free Gata Leche Flan, small size for 1-3 diners, medium for 4-7 diners and large for 7 or more diners. Available on February 13 and 14, 2015 for dining customers. Valentine’s Special: Free Bread Pudding, a Valentine’s special dessert, for every table on February 13 and 14, 2015 for dining customers. 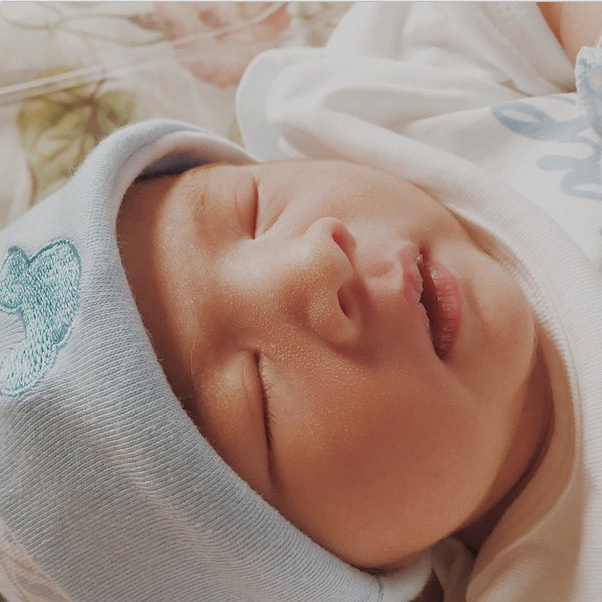 Top of the Morning: Actress Dimples Romana Welcomes "Miracle Son"